WEST PALM BEACH, Fla. – A decision made by Palm Beach County Commissioner Priscilla Taylor has caused an upheaval in one key elections race in the county. Since last March, Taylor had been conducting what many thought was a successful effort to run for a Congressional seat in Washington, D.C. 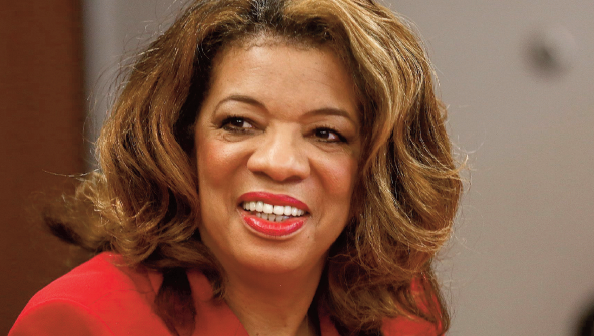 When she announced her bid for Congress in District 18 last spring, many prominent African-Americans scrambled to run for her County Commission seat, including prominent Riviera Beach Police Chief Clarence Williams, III, who is retiring as chief, and former State Representative Mack Bernard. But last week, Taylor announced she changed her mind about Congress and now wants to retain her commission seat. Now, that key commission race is in a tailspin, as none of those who are currently running for the seat, expected to run against incumbent Taylor. Now the four black men who are running for the seat, will have to re-think their strategy. All four are popular, and three have raised considerable funds to run against each other, but not necessarily against Taylor, a popular incumbent. The new development changes the playing field. In addition to Williams and Bernard, Haverhill Councilman Lawrence Gordon, and Rubin Anderson, who mounted an unsuccessful bid for Florida Governor, are also vying for the seat. According to a report in the Palm Beach Post, Bernard, Gordon, and Anderson said they are all still in the race and are intending to win –even against Taylor. The commission seat in for District 7, which covers most of West Palm Beach, Riviera Beach, and Lake Park, is mostly African- American and most often votes Democratic. All the current candidates for the seat are black Democrats. In a telephone interview with the South Florida Times on Monday, Taylor said her decision to abandon her congressional bid came down to dollars and cents. “It was money, totally,” she said. “You file your intent to run, but I was unable to fund a credible campaign.” Taylor said her goal was to raise about $550,000, which she indicated was on the low end, but still she fell far short of that. According to reports, as of the end of last year, she had only raised just over $160,000. “I certainly felt I was the better candidate. It was for no other reason other than the money,” she reiterated. Taylor was running for the congressional seat of Representative Patrick Murphy, D-Jupiter, who announced he is running for the seat of Republican Senator Marco Rubio, who is now a presidential candidate. At the time she announced her congressional bid, Taylor promised to fight for the middle class. “I am running for Congress to continue Patrick Murphy’s record of bipartisan leadership. I will be a champion for middle class jobs, strengthening Social Security and Medicare and protecting our environment and fragile coastline,” Taylor said. Now, almost a year later, Taylor said in the telephone interview this week, that she has no intentions of ever running for Congress. Taylor said she believes she has a good chance of retaining her commission seat. “I think my chances are excellent. I have always represented the people. I have a very good track record. I’m excited about running for my seat. Constituents asked me to come back and run for my seat. I felt there were things I could come back and do,” she stated.